Next-gen Suzuki Hayabusa rendered in Japanese Young Machine magazine shows off weight saving features which will enhance performance. Japanese magazine ‘Young Machine’ has created a rendering of the third generation Suzuki Hayabusa. 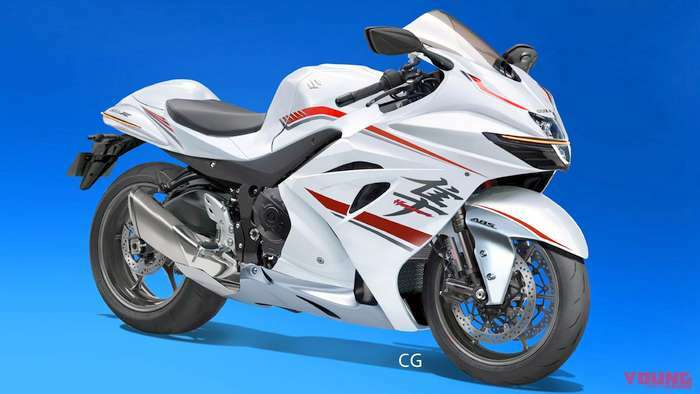 It may be noted from these renderings that the new Hayabusa has borrowed styling cues from the Suzuki Concept GSX unveiled in 2015. This third generation Hayabusa is set to arrive in 2022 and will come in with a target to win back the title as the fastest accelerating production motorcycle which is currently commanded by the Kawasaki ZX-14R. Renderings of the next generation Suzuki Hayabusa show off sharp styling. As compared to its second generation model, the new Hayabusa will sport an updated headlamp design, new body work and refreshed exhaust which is more compact and lightweight as compared to that seen on its earlier model. A number of weight-saving measures also get incorporated into the design of the new Suzuki Hayabusa which will enhance its power-to-weight ratio and thereby result in added performance. 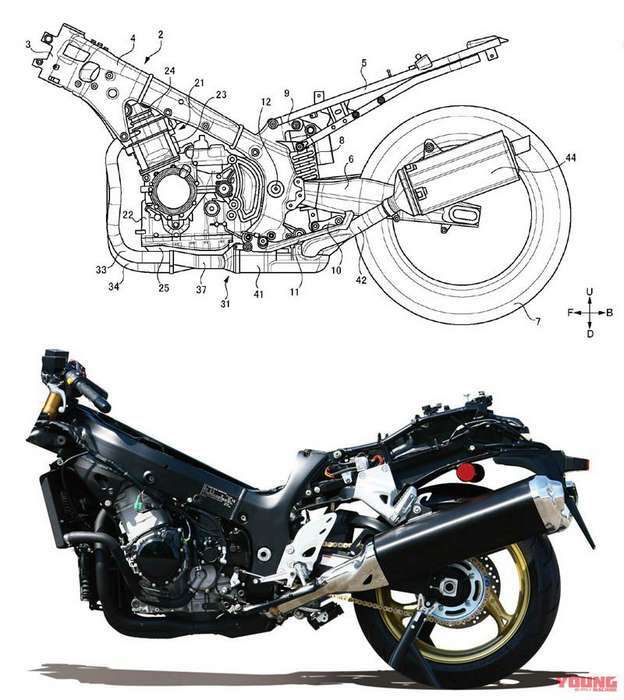 The Japanese magazine also released photos of leaked patents of the new Hayabusa. The second generation Suzuki Hayabusa, is powered by a 1,340cc engine offering 194 bhp power and 155Nm torque. The next gen Hayabusa could receive a larger engine. This engine will comply with Euro 6 emission norms. It is also estimated that the new Hayabusa will get a turbocharged engine, better rider aids and new cosmetic updates, details of which could be released closer to launch date. The second generation Hayabusa has been pulled out of production in Europe. This was due to the fact that it could not be given a Euro IV update as indicated by EU Regulation 168/2013 and was granted a 2 year grace period to sell off its remaining stocks. This version of the Hayabusa will be on sale in the US for one more year, even as the grace period ended on 31st December 2018. In India it will be on sale till March 2020. Another handicap seen on the second generation Hayabusa was the lack of electronics which will be seen on the next gen model. The new Hayabusa could come in with a new electric pack from the GSX-R1000 with ride by wire, multiple ride modes, multi level traction control and cornering ABS besides wheelie control and cruise control. The current generation Hayabusa is assembled in India and priced at Rs.13.87 lakhs making it cheaper than its arch rival Kawasaki Ninja ZX-14R by over Rs 5.5 lakhs.